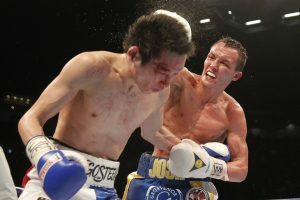 Barely three business days after being ordered to negotiate, the ordered featherweight title fight between Josh Warrington and Kid Galahad is already heading to a purse bid. The two sides were given thirty (30) days from January 7 to negotiate terms for the International Boxing Federation (IBF)-sanctioned featherweight title fight. However, Galahad—the mandatory challenger—and his team have already decided to cease talks and instead cut to the chase. 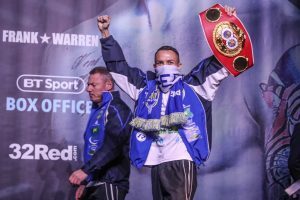 “he IBF has ordered a purse bid for the mandatory defense of the Featherweight title between Champion Josh Warrington and #1 ranked contender Kid Galahad,” IBF spokesperson Jeanette Salazar informed in a release. “Warrington was ordered to negotiate with Galahad on January 7, 2019. The purse bid hearing is scheduled for January 24 at 12:00pm, to take place at the IBF headquarters in Springfield, New Jersey. Any hopes of civil negotiations seemed dead on arrival, given the contentious history between the two promoters involved. Warrington is with Frank Warren’s Queensberry Promotions, while Galahad (birth name Abdul Barry Awad) fights under Eddie Hearn’s Matchroom Boxing banner. Warren and Hearn rarely do business together, but are willing to do so when the opportunity makes sense. Warrington made the first defense of his featherweight title with a rousing 12-round win over former two-division champ Carl Frampton last December in Manchester, England. The bout aired live on BT Sport Pay-Per-View in the UK and on ESPN+ in the U.S. The victory capped a breakout year for Warrington. The unbeaten 28-year old claimed the title in a May ’18 points win over Lee Selby in his Leeds hometown. Following his thriller with Frampton, it was hoped that Warrington would be steered towards unification clashes with Oscar Valdez (who returns February 2 on ESPN) or Premier Boxing Champions’ pair of titlists Leo Santa Cruz and Gary Russell Jr. Instead, he was ordered to next defend versus his mandatory challenger, given his bout was Frampton was deemed his lone-allowed voluntary defense. While both sides come armed with lucrative network deals, there’s no guarantee that either lands the promotional rights to the fight. Because the mandatory title fight is now subject to a purse hearing, all IBF-registered promoters are free to bid on the contest. The winning bidder will also have to submit on the spot a 10% deposit of the total purse amount along with proposed dates and locations in order to be accepted.